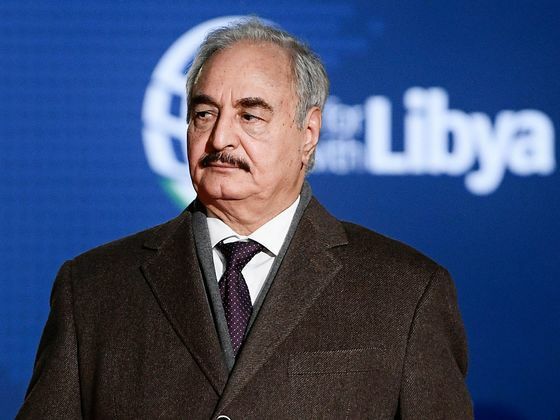 (Bloomberg) -- Libyan strongman Khalifa Haftar ordered his forces on Thursday to advance on the capital, threatening a major escalation in violence that could reshape the country’s political map and upend plans for a negotiated settlement to its conflict. “We hear your call, Tripoli,” the commander told his self-styled Libyan National Army, according to recording of a speech he gave to troops. “It is now the time for the great victory. March forward.” Haftar, whose stronghold is in Libya’s east, urged fighters to show restraint and not fire at anyone who doesn’t raise a weapon at them. Underscoring the seriousness of the escalation, the internationally-recognized Tripoli government of Prime Minister Fayez al-Sarraj ordered its forces to mobilize earlier in the day and approved the use of airstrikes if necessary to counter any offensive. “It’s been clear for a long time that Haftar’s ambition is to be leader of Libya,” said Crispin Hawes, founder of the Idrisi Advisors consultancy in London. “He needs the institutions that control the money,” namely the National Oil Corp. and the central bank. Both are based in Tripoli. The campaign marks the boldest advance yet by Haftar’s LNA, the country’s most organized military force. International powers have appealed to both sides to avert an armed showdown that could rattle global oil markets and sow further chaos in a divided country already struggling to defeat Islamic State and stem the flow of migrants toward Europe. The troop movements also coincided with the arrival in Libya of the United Nations Secretary General Antonio Guterres. His comments came hours after Haftar’s forces claimed they had taken control of Gharyan, a city about 100 kilometers (60 miles) south of the capital. That assertion could not be independently verified, but his push toward Tripoli has been going on for weeks. The buildup suggested that Haftar would either make a concerted drive to seize the capital or at least strengthen his bargaining position ahead of a UN-sponsored conference on April 14 aimed at taking steps to unify the country. The LNA said he had moved to its control center for western operations. The developments cast a somber backdrop for Guterres’ visit. In Tripoli, he renewed a call for calm, and told reporters that there could be no military solution to the country’s conflict. Al-Mismari, looking to debunk speculation that Haftar was making a grab for power, said the LNA was supportive of the upcoming conference. Since a NATO-backed war ended Muammar Qaddafi’s 42-year rule in 2011, OPEC member Libya has been carved up among militias, with rival administrations eventually emerging in the east and Tripoli. Though it sits on Africa’s largest proven reserves of crude, infighting has repeatedly interrupted oil shipments and production, hitting the economy and roiling global oil markets. Haftar has steadily expanded his hold to most of the country, including southern oil fields, in what he says is a mission to combat “terrorism.” A military drive toward the northwest -- home to most of Libya’s population -- would be much harder. While better organized than rivals, Haftar’s forces are a disparate collection of moderately-trained troops and guns-for-hire. 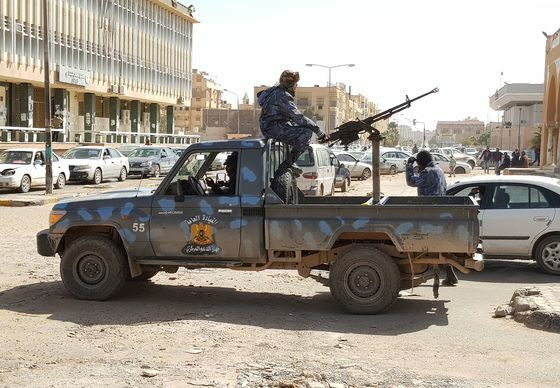 They could face more determined opposition around Tripoli as well as Misrata and Sirte, where local militias jealously guard their hard-won autonomy. The militia from the port city of Misrata said it would back Sarraj’s forces. “Either way, I think the threat is the most important thing at the moment,”said Hawes.